Alloy Steel Cold Rolled Plates, ASTM A387 Alloy Steel Shim Sheets, Alloy Steel Shim Sheets, ASTM A387 Alloy Steel Coils, Alloy Steel Foils Dealer in India. Ganpat Industrial Corporation is one of the well-known trader and supplier of Alloy Steel Sheets Plates Coils, which is used by fabricators who serve the oil, gas and petrochemical industry. The prices that we offer Alloy Steel Plates is the least one can expect and the quality aspect of it is simply exquisite which speak volumes of the total dimensional accuracy of the product. Alloy Steel Coils is often used in Transformers, Heat Exchangers, Oil Refineries, Brine Heaters, Space Research, Steel industry, Engineering projects, General Piping Industry, etc. The offered Alloy Steel Slatting Coils are manufactured from the finest quality material & leading techniques in accordance with the set norms of industry. Alloy Steel Perforated Coils are heavily demanded throughout the market, and known for properties like durability, excellent performance and ease of maintenance. We are prominent manufacturer, exporter and stockiest of Alloy Steel Plates to our respected clients, which are extensively used all over the place for varied purposes. 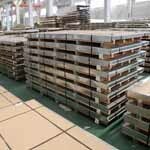 We offer various types of Alloy Steel Coils to our industrial customers, all with a minimum 99.9 % purity. Alloy Steel Slatting Coils has some great features to offer such as Long life, Corrosion resistance, Permanence in nature and more. We at Ganpat Industrial Corporation Believe in Offering Prime / Genuine Materials Accompanied with Prompt & Personalized Services. We do care about the quality of our products even some little details are paid attention to. Each order is packaged according to the customer’ s standards including preparation for export such as wooden case, pallet or according to customer’s requirement All shipping documentation is provided for Alloy Steel Sheet, Plate and Coil delivery from mill to customer. Every assignment begins with a visit of our experienced sales representative who assesses the volume / weight of the belongings and brief the client about the nature of packing required as well as various documentation formalities when moving from India. 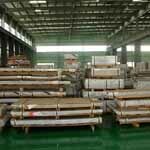 alloy steel sheet price list in india, alloy steel plate sizes, astm kitchen cabinet alloy steel plate price per kg, mirror alloy steel sheet, decorative emboalloy steeling alloy steel plate, alloy steel shim sheet, alloy steel plate price, alloy steel plate material specification, alloy steel sheet price per kg, alloy steel sheet price per kg in india, alloy steel sheet price in india, alloy steel sheet weight chart, asme alloy steel plate price per kg, inox alloy steel plate in malaysia price per kg, excellent supplier 1.5mm thick alloy steel plates, high quality cold rolled alloy steel plate, alloy steel circle alloy steel round plate, alloy steel round hole punched plate, 4mm thick grade alloy steel plate, alloy steel shower drain mesh plate, cheap alloy steel baffle plate. Dubai, Howrah, Mumbai, Bangkok, Jeddah, Baroda, Hanoi, Kuwait City, Perth, Navi Mumbai, Courbevoie, Houston, Colombo, Atyrau, Montreal, Jakarta, Vadodara, Bogota, Dallas, Petaling Jaya, Ernakulam, New York, Secunderabad, Faridabad, Sharjah, Ho Chi Minh City, Chiyoda, Ulsan, Chandigarh, Indore, Ahvaz, Caracas, Melbourne, Rajkot, Vung Tau, Kanpur, Noida, Abu Dhabi, Surat, Milan, Nagpur, Toronto, Busan, Aberdeen, Thiruvananthapuram, Jaipur, Al Jubail, Istanbul, Seoul, Madrid, Edmonton, Gurgaon, Granada, Chennai, Port-of-Spain, Doha, New Delhi, Geoje-si, Nashik, Hyderabad, Bhopal, Calgary, Bengaluru, Ahmedabad, Coimbatore, Moscow, Thane, Riyadh, Sydney, Lagos, Kolkata, Cairo, Santiago, Ludhiana, Singapore, Rio de Janeiro, Pimpri-Chinchwad, London, Kuala Lumpur, Al Khobar, Ankara, Algiers, Los Angeles, Brisbane, Gimhae-si, Muscat, Pune, Jamshedpur, Haryana, Dammam, La Victoria, Karachi, Manama, Ranchi, Visakhapatnam, Mexico City, Lahore, Tehran, Hong Kong. Poland, Belarus, Russia, Afghanistan, Bhutan, Croatia, Morocco, Ireland, Italy, Jordan, Saudi Arabia, Colombia, Nigeria, Nigeria, Namibia, Libya, South Africa, France, Ghana, Bahrain, Malaysia, Argentina, Pakistan, Lebanon, Belgium, Qatar, Bangladesh, Vietnam, Iran, Taiwan, Hungary, Spain, Kuwait, Algeria, Philippines, China, Chile, Ukraine, Canada, Bolivia, Iraq, Poland, Serbia, Egypt, United States, Japan, Sweden, Gabon, Trinidad & Tobago,Tunisia, Denmark, Estonia, United Kingdom, Kenya, Costa Rica, Romania, Sri Lanka, Puerto Rico, Finland, Slovakia, Germany, Zimbabwe, United Arab Emirates, Indonesia, Greece, Bulgaria, Australia, Lithuania, Mexico, Thailand, Mongolia, South Korea, Oman, Angola, Azerbaijan, Turkey, Brazil, Peru, Venezuela, Hong Kong, Israel, Kazakhstan, Ecuador, New Zealand, Czech Republic, India, Mexico, Singapore, Yemen, Gambia, Austria, Tibet, Netherlands, Nepal, Norway, Macau, Portugal, Chile, Switzerland, Iran.